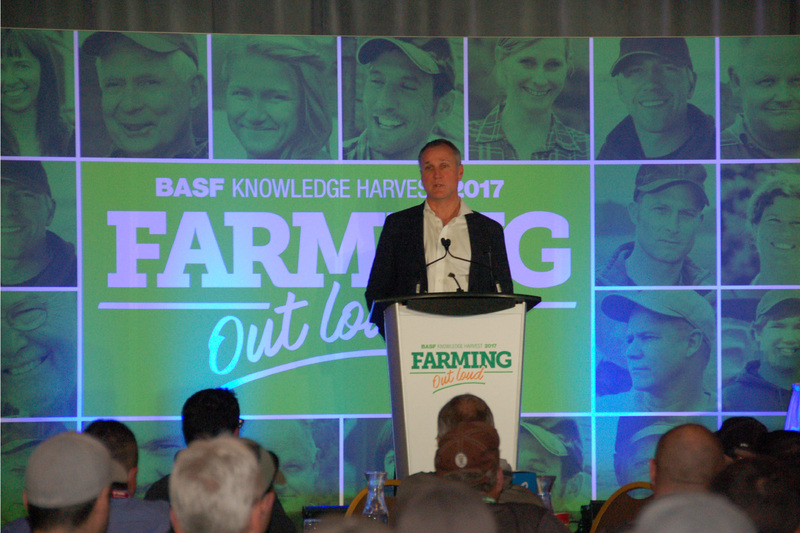 BASF Canada is inviting members of the media to hear keynote speaker Paul Coffey at BASF Knowledge Harvest events across Western Canada. 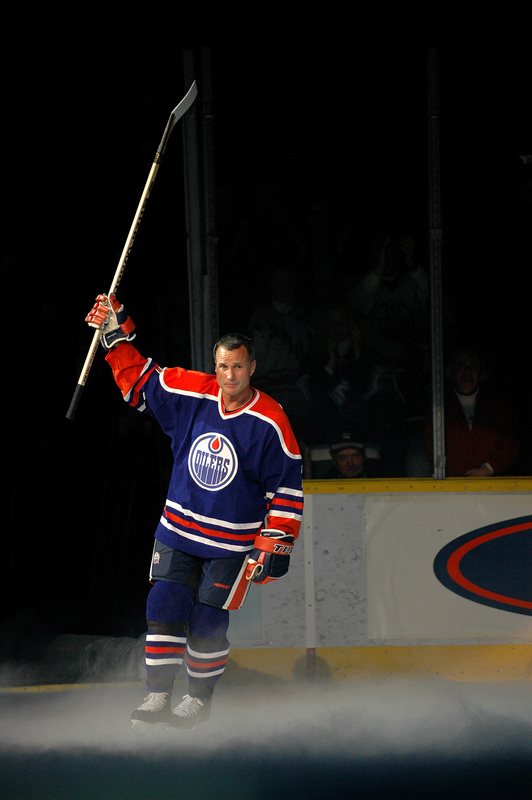 Former NHL defenceman known for his speed and scoring, Paul Coffey will share stories of his experiences in the NHL and the importance of teamwork and family. 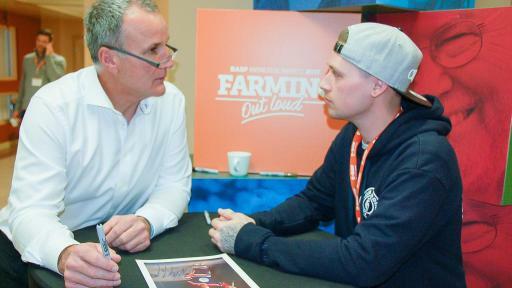 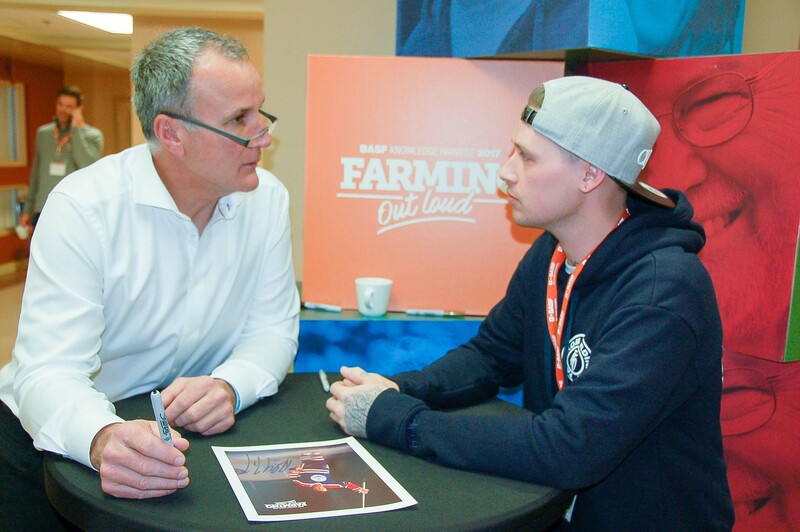 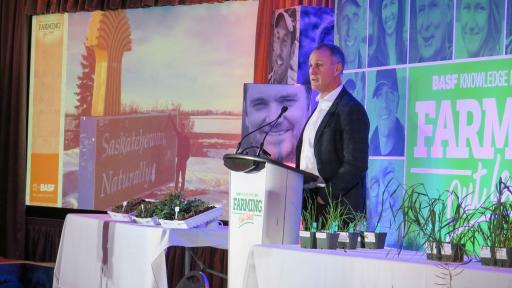 The Knowledge Harvest events, which will be held in Portage la Prairie, Yorkton, Camrose and Swift Current throughout February and early March, are designed to celebrate growers and provide information about advances in the agriculture industry. 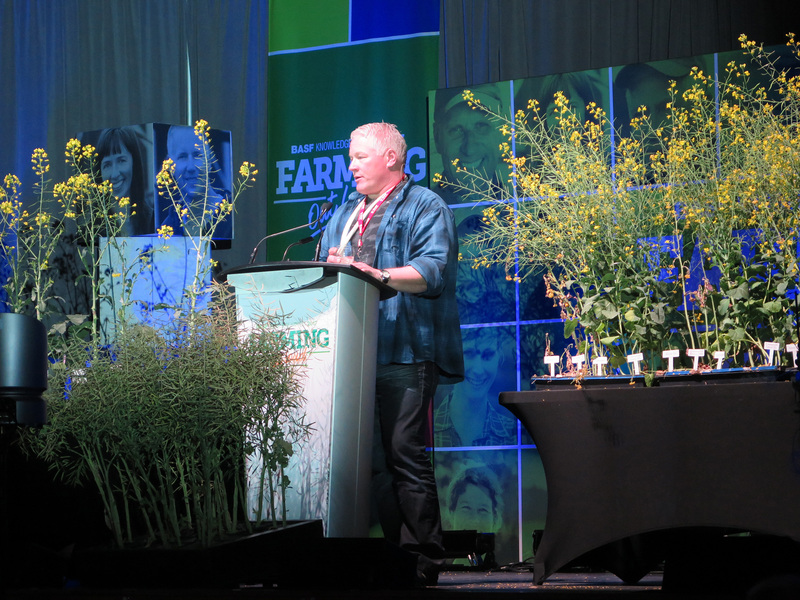 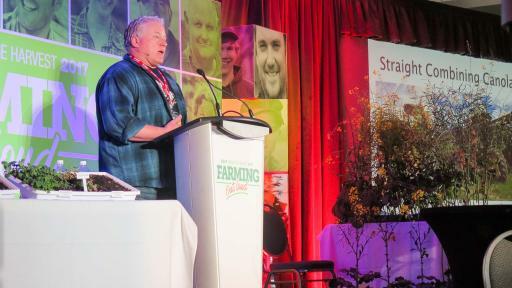 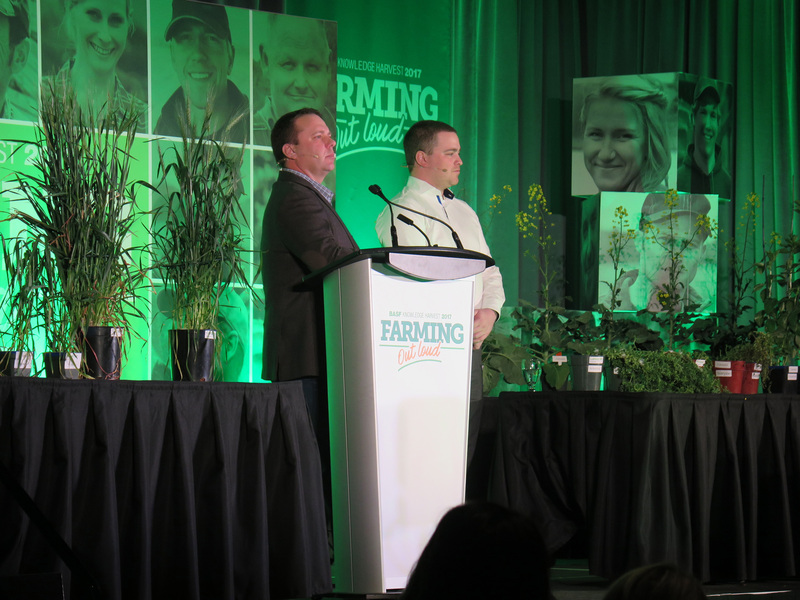 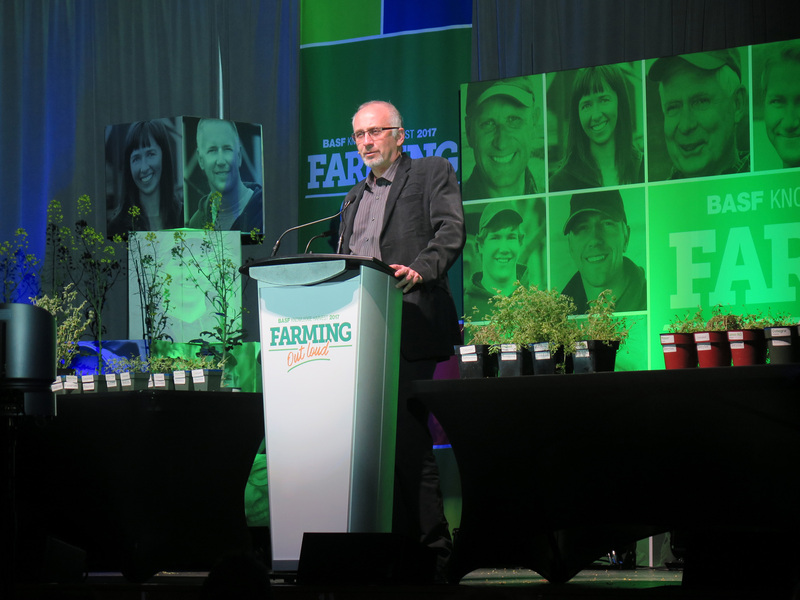 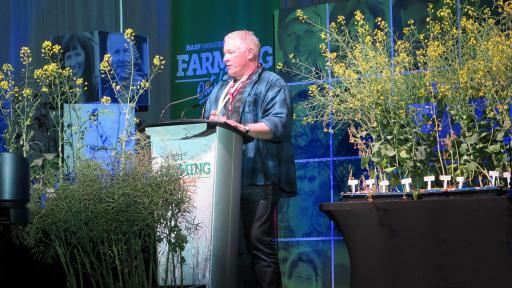 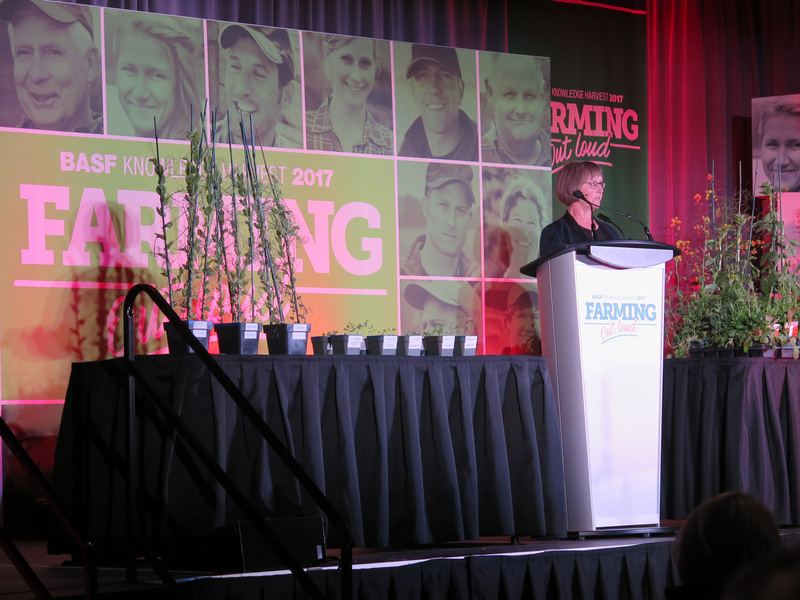 The theme, Farming Out Loud, encourages the sharing of knowledge on innovative technology that is shaping the future of plant science in Canada and gives attendees the opportunity to share their experiences, giving a voice to the agriculture community. 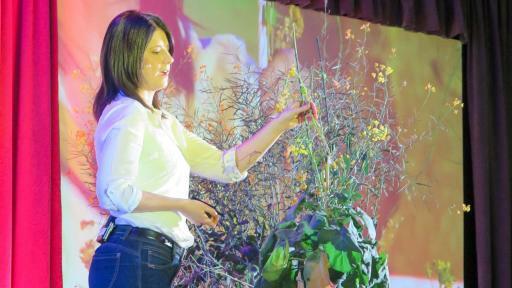 Demonstrations, clinics, videos and guest speakers set the scene for inquiry, discovery and inspiration. 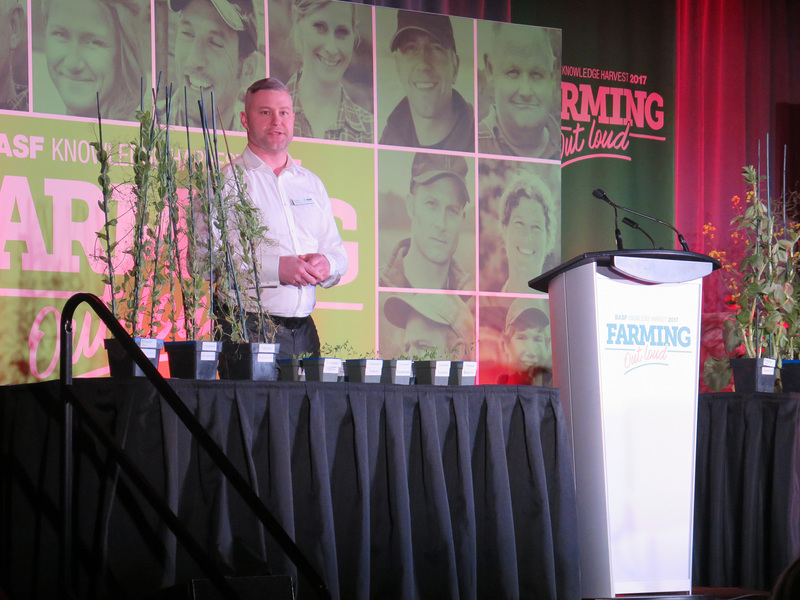 Agronomist David Vanthuyne shares his experience with straight cutting canola with growers at the 4th annual BASF Knowledge Harvest 2017 event in Yorkton, Saskatchewan. 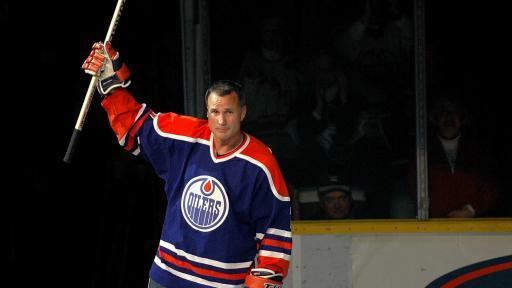 Paul Coffey makes a surprise visit to the Yorkton Terriers locker room to talk shop and give some coaching advice to the team. 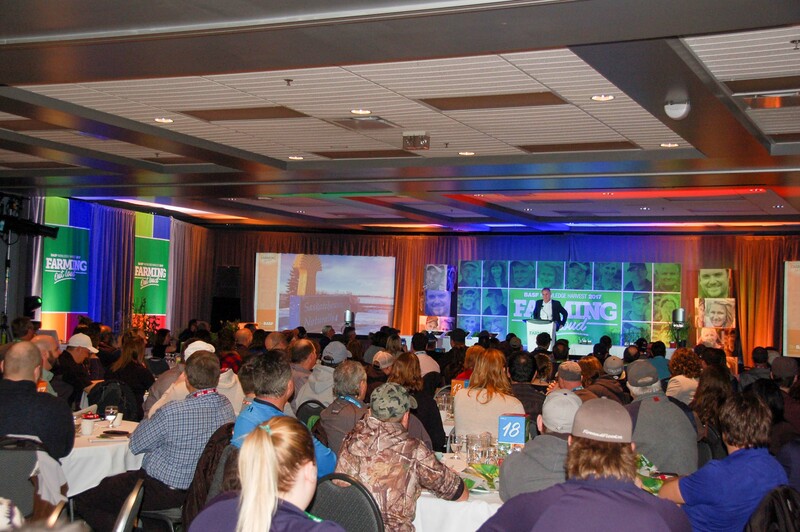 A full house of more than 225 growers, retailers and partners at the 4th annual BASF Knowledge Harvest event in Yorkton, Saskatchewan. 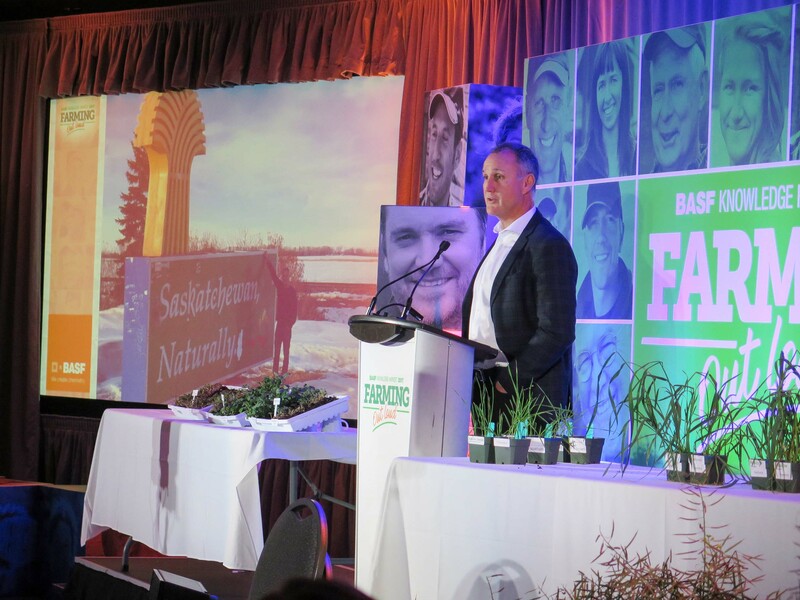 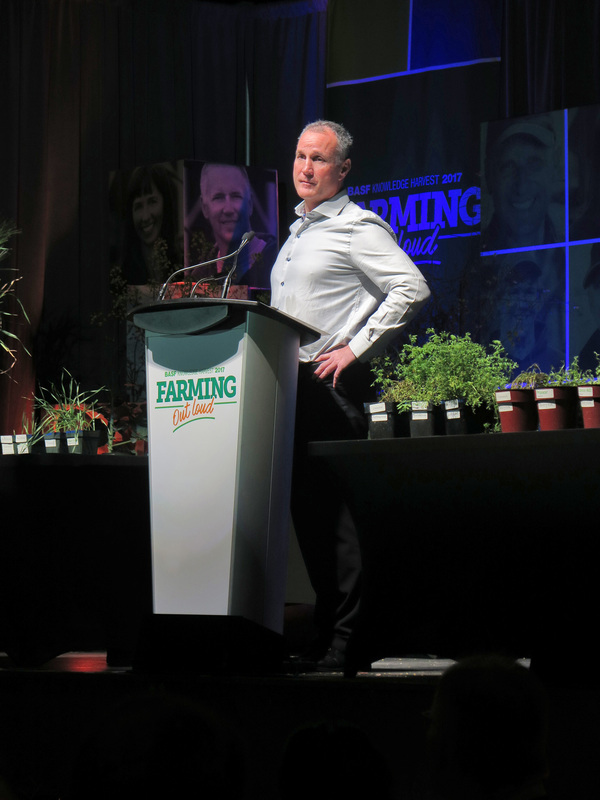 Paul Coffey gives heartfelt advice in Yorkton, Saskatchewan at the 4th annual BASF Knowledge Harvest event. 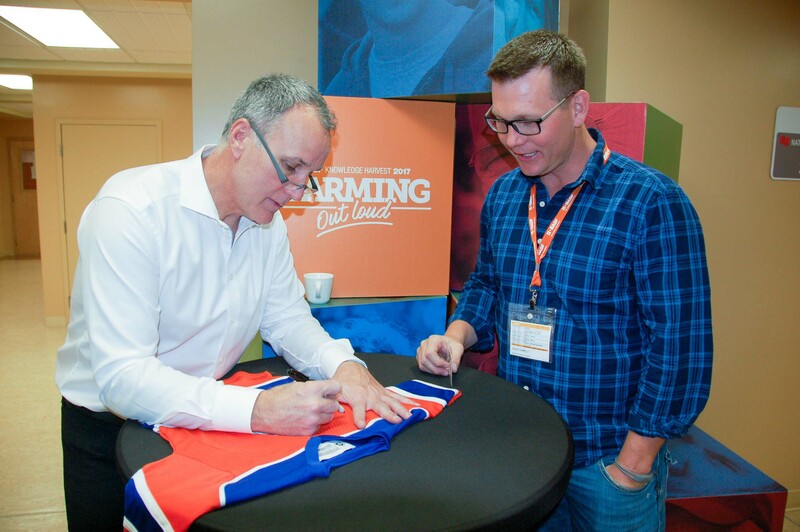 Paul Coffey visits the locker room of the Yorkton Terriers after speaking at the 4th annual BASF Knowledge Harvest 2017 event in Yorkton, Saskatchewan. 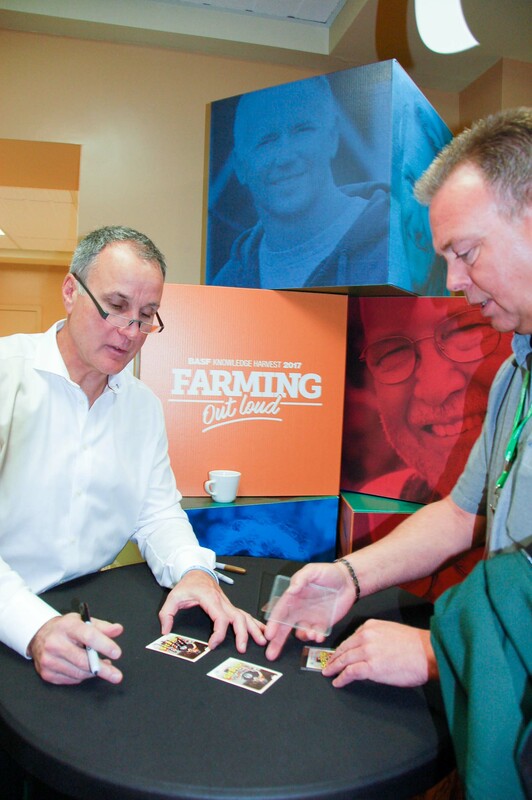 Paul Coffey signs his rookie card with a life-long fan at the 4th annual BASF Knowledge Harvest event in Yorkton, Saskatchewan. 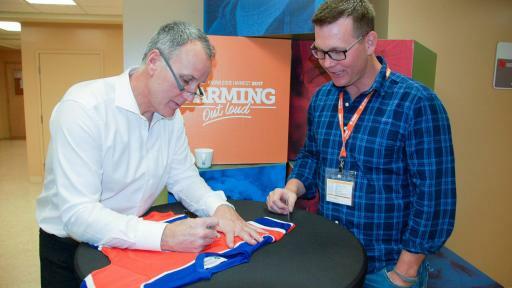 Paul Coffey signs a jersey for a future Edmonton Oilers player at the 4th annual BASF Knowledge Harvest event. 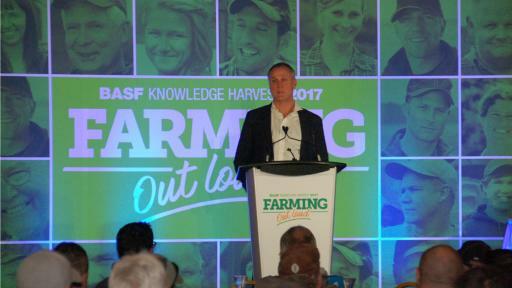 Knowledge Harvest 2017 Keynote Speaker, Paul Coffey in Yorkton, Saskatchewan. 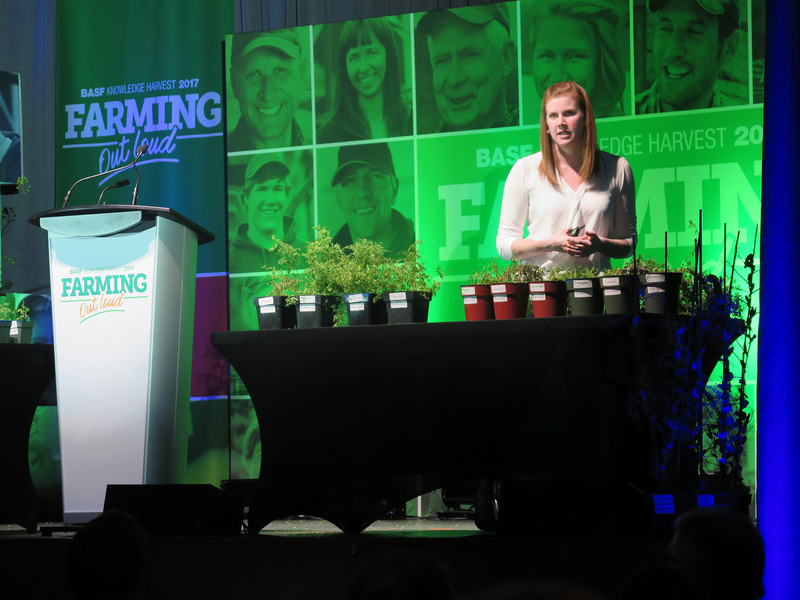 BASF technical service specialist Allison Friesen speaks about proactive fungicide resistance management at the 4th annual Knowledge Harvest event in Yorkton, Saskatchewan. 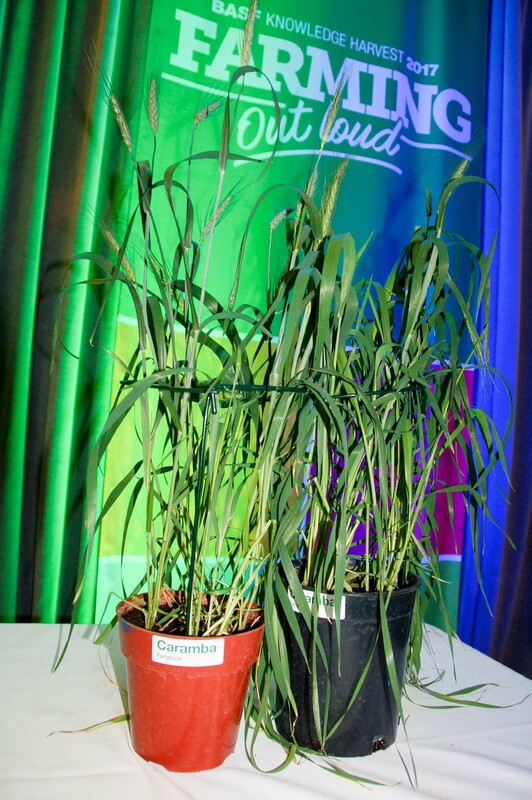 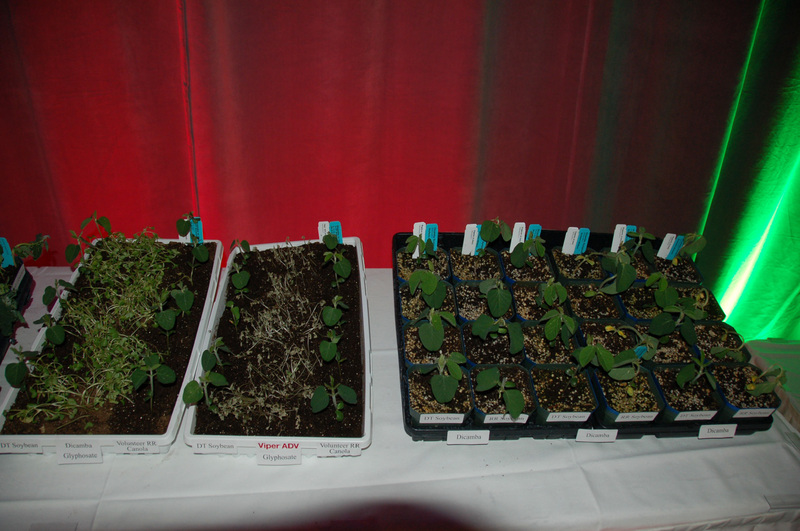 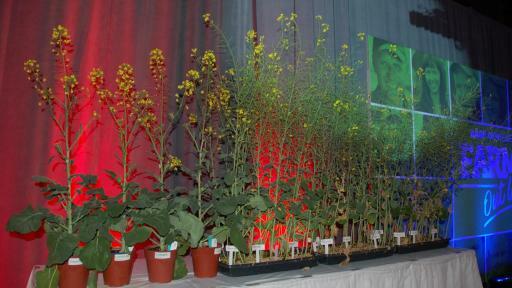 Plant demonstration with Caramba at the 4th annual BASF Knowledge Harvest event in Yorkton, Saskatchewan. 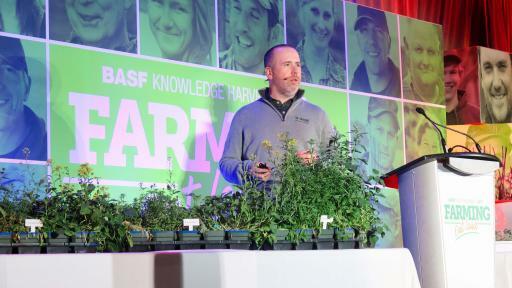 BASF technical marketing specialist Bryce Geisel talks to growers about weed resistance management at the 4th annual Knowledge Harvest event in Yorkton, Saskatchewan. 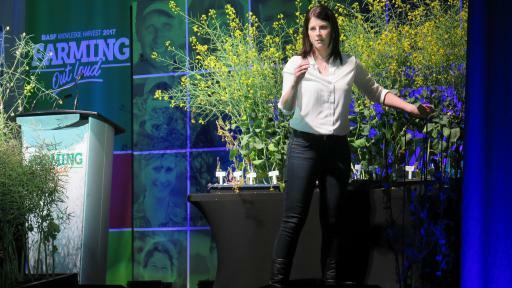 BASF technical service specialist Colleen Redlick demonstrates the effects of sclerotinia in canola at the 4th annual Knowledge Harvest event in Yorkton, Saskatchewan. 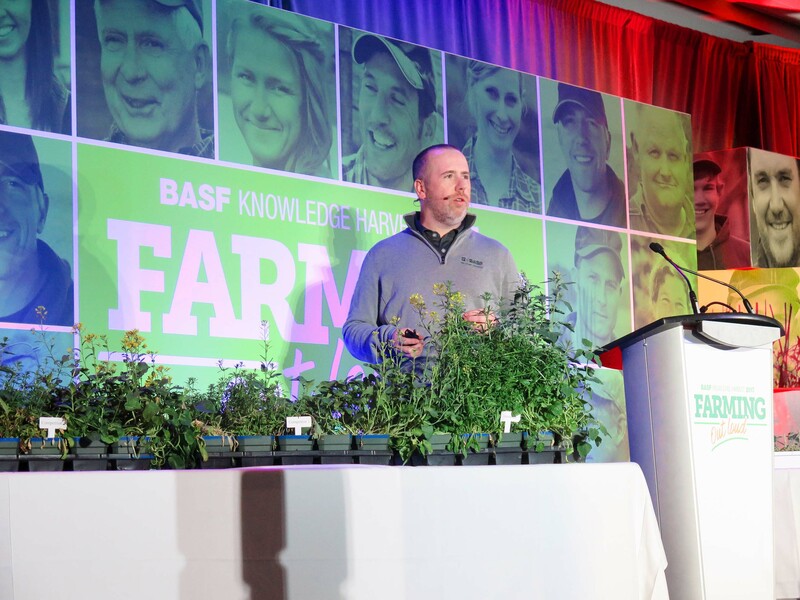 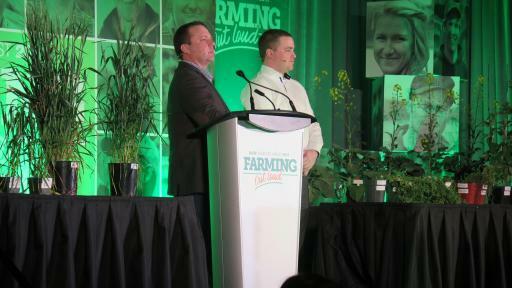 BASF innovation specialist, Dan Wilson speaks at the 4th annual Knowledge Harvest event in Yorkton, Saskatchewan. 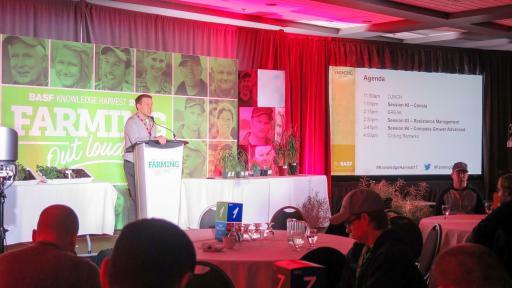 Derek Bunkowsky, Canadian Grain Commission, and Andrew Reid, BASF speak about cereal quality at BASF Knowledge Harvest, Camrose, Alta. 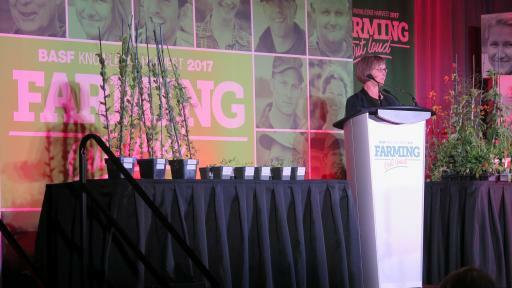 Dr. Linda Hall, University of Alberta, talks about herbicide resistance management at BASF Knowledge Harvest, Camrose, Alta. 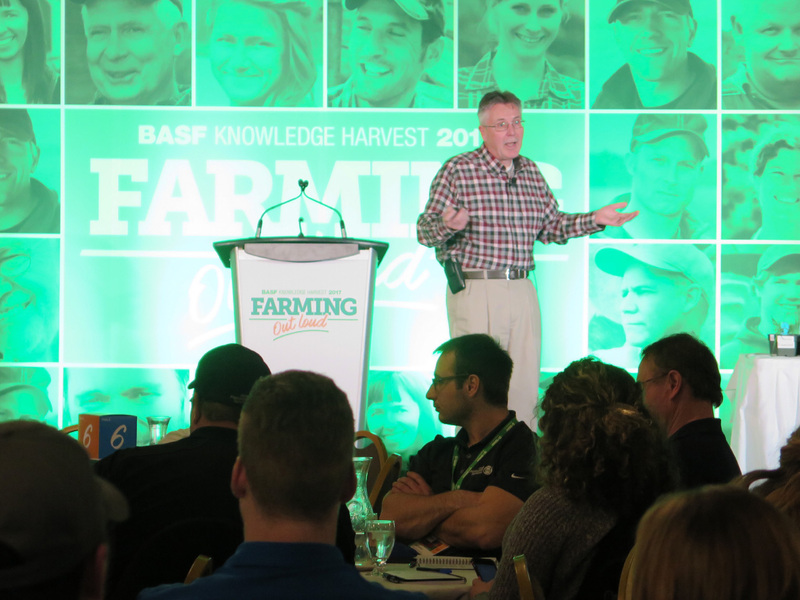 Technical Marketing Specialist Russell Trischuk talks about fungicide resistance management at BASF Knowledge Harvest, Camrose, Alta. 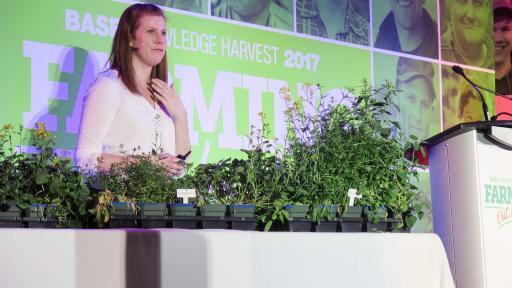 BASF Technical Service Specialist Allison Friesen speaks about fungicide resistance at Knowledge Harvest in Swift Current, Sask. 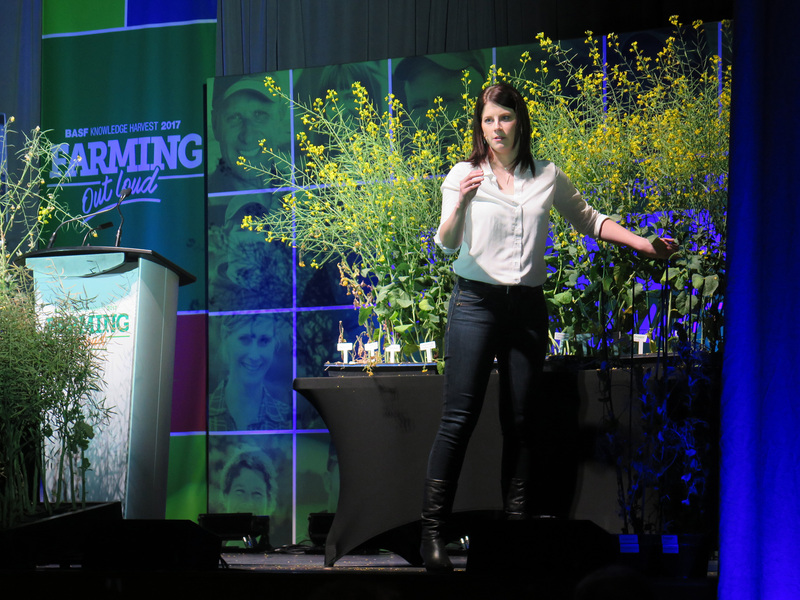 BASF Technical Service Specialist Colleen Redlick speaks about canola management at Knowledge Harvest in Swift Current, Sask. 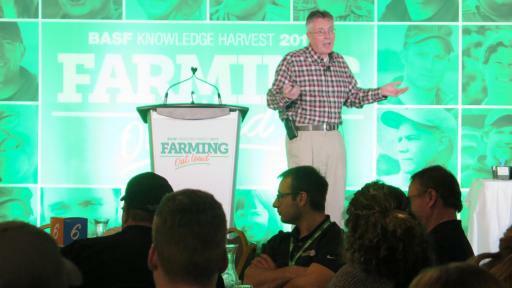 Eric Johnson, University of Saskatchewan, speaks about herbicide resistance at BASF Knowledge Harvest in Swift Current, Sask. 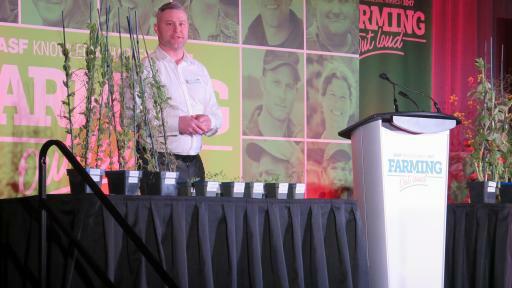 Grower David Vanthuyne talks about straight cutting canola at BASF Knowledge Harvest in Swift Current, Sask. 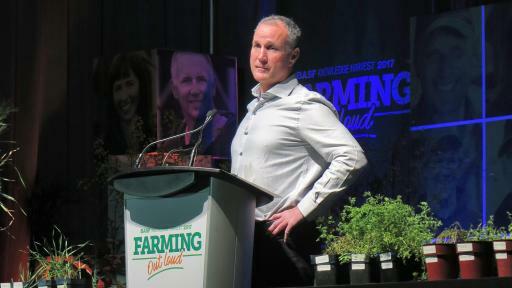 Paul Coffey, keynote speaker at BASF Knowledge Harvest in Swift Current, Sask. 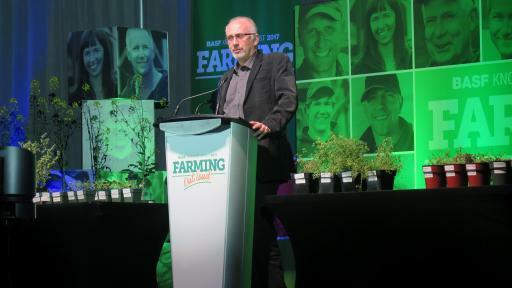 addresses the crowd. 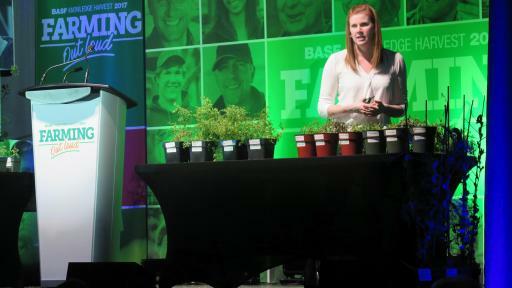 Participants in the events will learn about ways they can make 2017 a success. 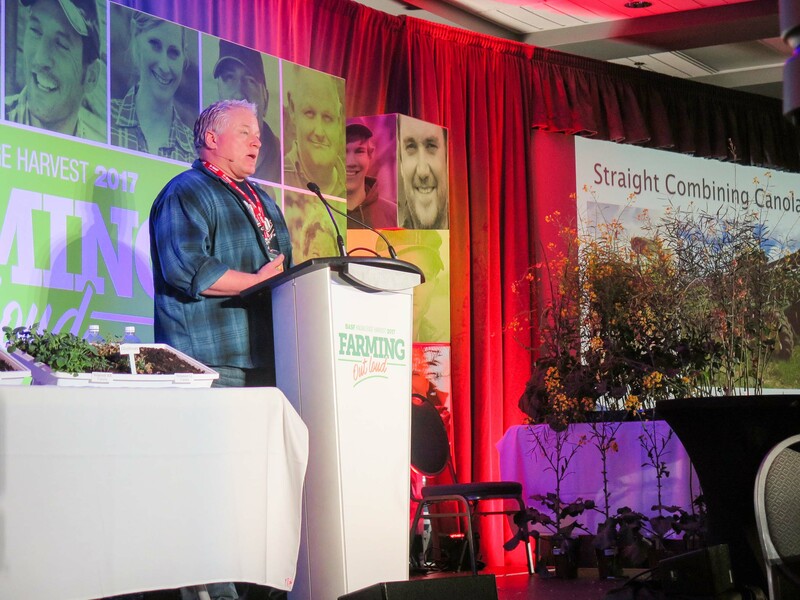 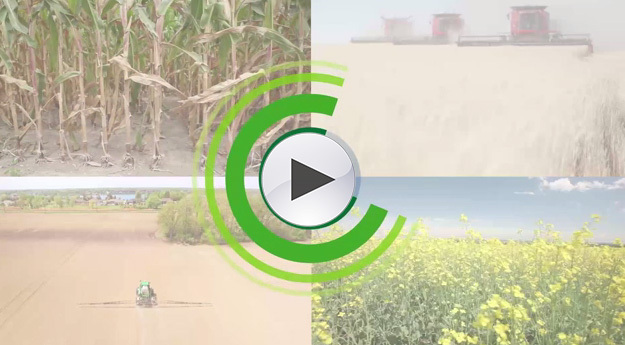 Speakers will present on topics such as challenges in the marketplace, sustainability and stewardship; aspects of quality and yield; weed control; and the latest tools, techniques and technologies. 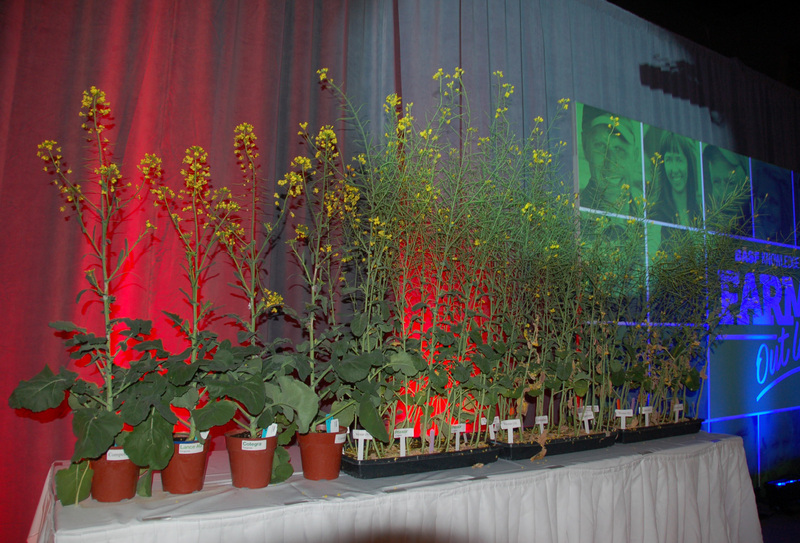 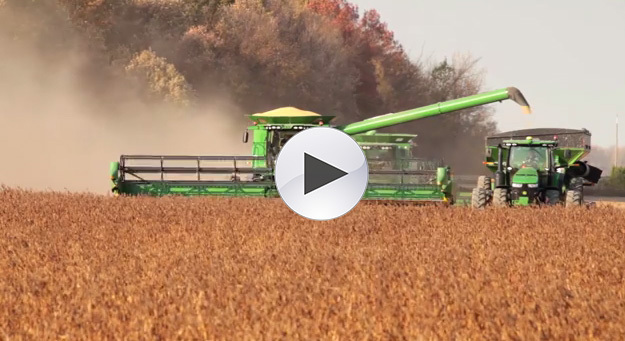 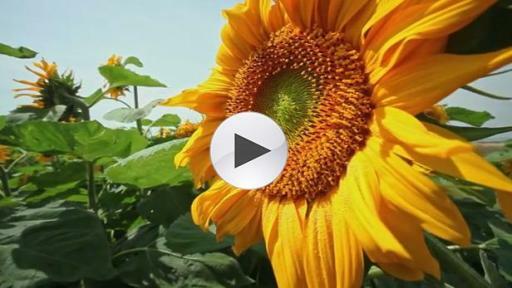 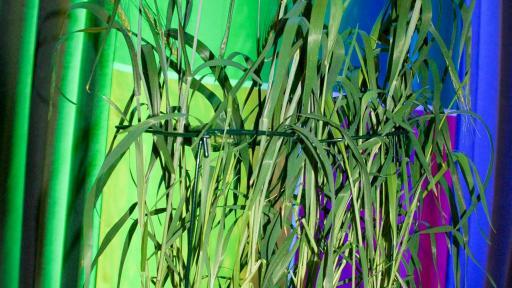 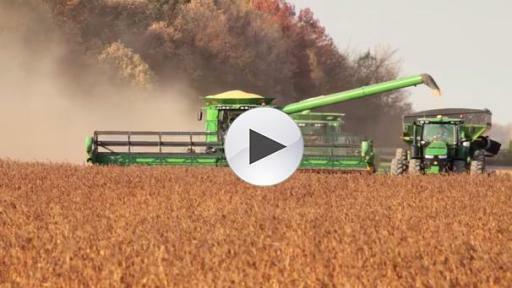 There will be plant demos and videos, all to foster optimal methods of crop production. 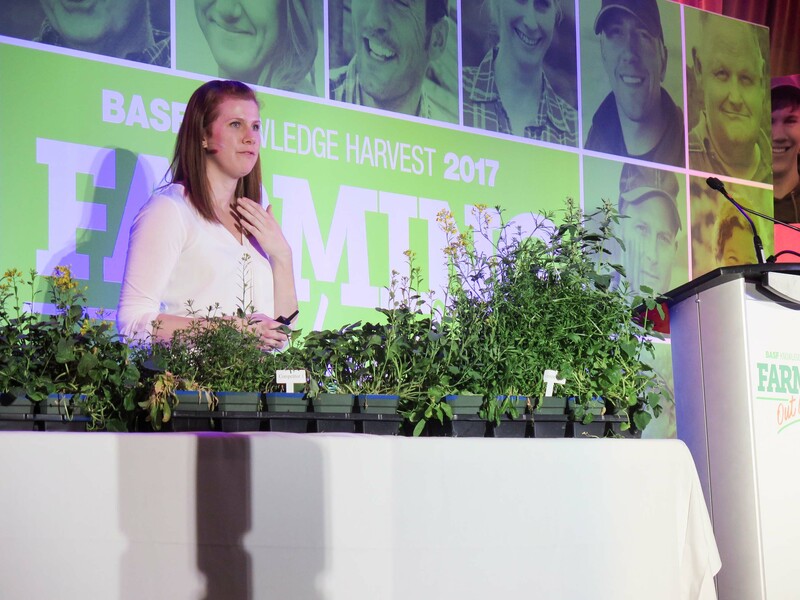 Knowledge Harvest takes place in Camrose on Tuesday, March 7, 2017. 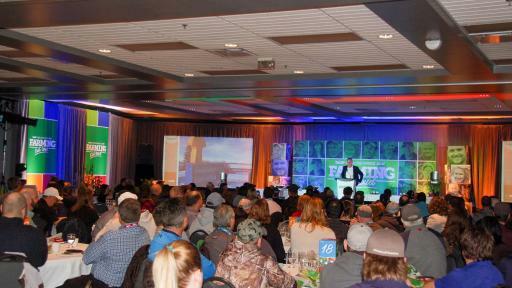 Swift Current hosts the event Thursday, March 9. 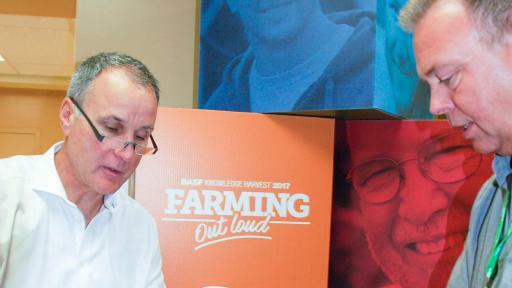 Media are invited to talk to Paul Coffey and a representative from BASF. 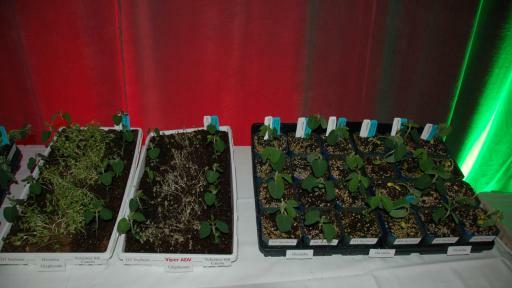 Please RVSP by February 24 at 4 p.m. to Emily Jenniskens at 519-434-1365 ext. 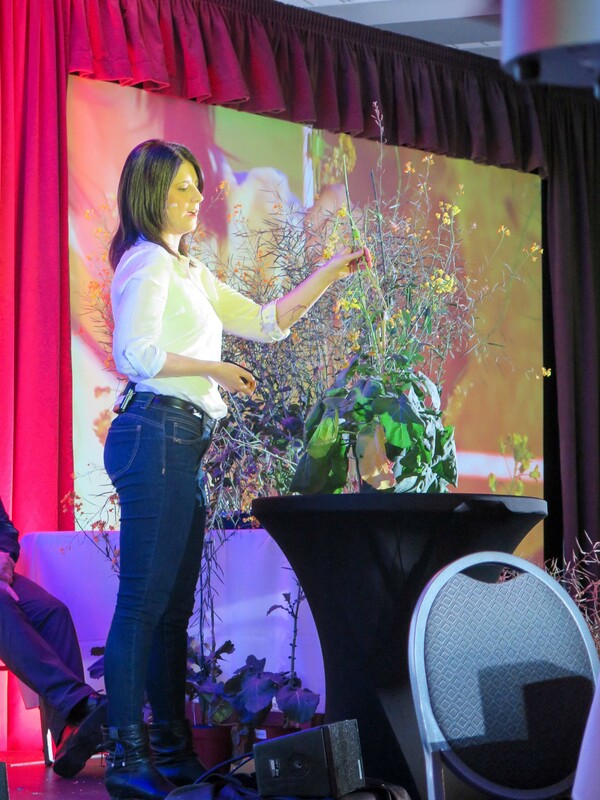 264 or emily@oncommunication.ca. 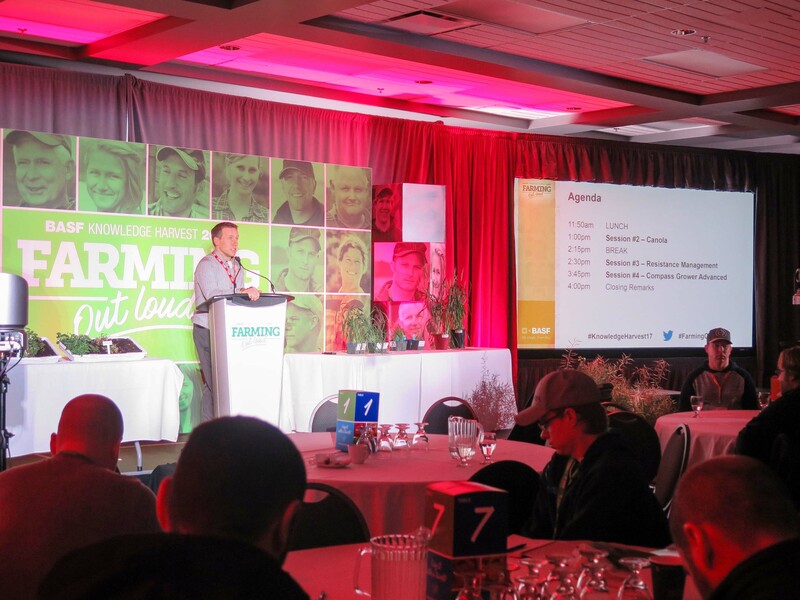 Times: Welcome and Media Registration: 9 a.m.